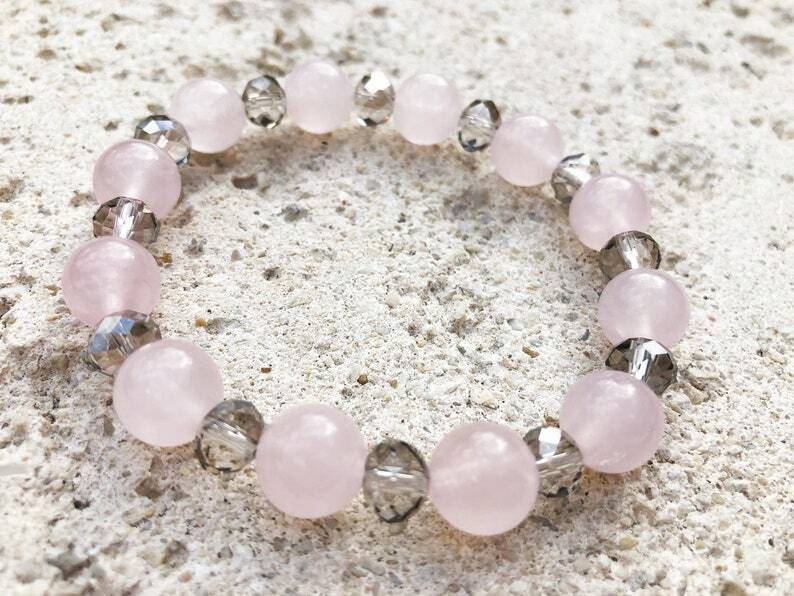 This beautiful bracelet was made using round natural rose quartz beads. The spacer beads are faceted clear-gray Czech glass. It is strung on sturdy elastic cord for a secure and comfortable fit.